Stephen Bruno has been voted in as the face of the 2013 Boise Hawks pocket schedule! A fan favorite, Bruno had an average of .361, the league’s best in 2012, with 3 HR, 37 RBI and 2 SB. He played in 67 of the 76 games and ended the season with 51 runs. An added bonus, Bruno proved that he could play at any position asked of him. 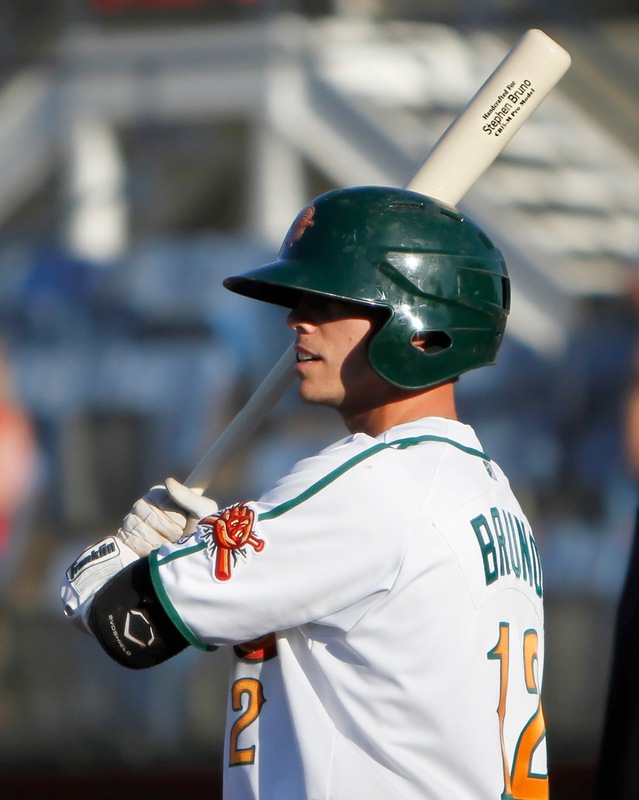 Bruno was drafted in the 7th round of the 2012 MLB June Amateur draft from the University of Virginia and was sent straight to Boise to begin his professional career June 20, 2012. While Bruno didn’t know what to expect of Boise, he enjoyed his time here and said that it reminded him a lot of Charlottesville, Virginia and that the people here were just as nice. Since the 2012 season Bruno has been back and forth between his home in New Jersey and training in Arizona. He is currently in Arizona but will return home tomorrow. Bruno was recently invited back for the mini camp in two weeks just before Spring Training starts up for the Cubs! Look for more on Bruno from Spring Training!